When is the government justified in making laws that have no purpose other than to protect us against ourselves? Mayor Bloomberg of New York City ran headlong into this question last week when a judge struck down the New York City ban on the sale of “large sugary drinks.” For those who don’t follow U.S. local news, in September 2012 the New York City Board of Health, at the urging of Mayor Bloomberg, adopted a ban of the sale of sugary drinks larger than 16 oz. in restaurants, theaters, and food carts on the grounds that they encourage the over-consumption of sugar, hence obesity. Even though obesity has become a major health epidemic in the United States, Mayor Bloomberg’s edict was met by strong opposition from the soft drink industry and vendors as well as by civil libertarians who maintained that the law was an unwarranted infringement on personal freedom. Last week a New York State Supreme Court judge agreed with the civil libertarians and issued a stay of the mayor’s ban on the sale of the large drinks. prohibit moral vice such as laws against prostitution or the consumption of illicit drugs. At first glance it would appear that the prohibited activities listed above harm no one except possibly the person who engages in them. But there are a number of philosophical arguments against Mill’s harm principle that undermine its initial clarity. The only argument I will raise here is simply that Mill nowhere adequately defines “harm.” Once we begin to examine the types of harm that can be inflicted on others, even if unintentional, the application of the harm principle becomes murky. The financial harm to another or to the community, for example, that can result from risky behavior on the part of a few of its members is evident. The loss of community property values that results from the presence of “moral vice” is also harmful, even though those engaged in the illicit behaviors argue that what they do is no one’s business but their own. 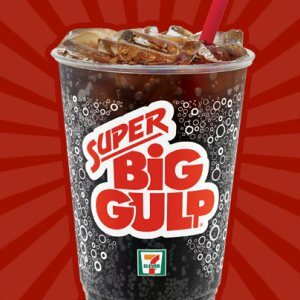 If Mill’s harm principle is not an adequate protection against paternalistic legislation, then what about the Big Gulp? Can its consumption be viewed as behavior that harms anyone besides those who drink it? It can be argued that any community in which a large number of its members engage in unhealthy behaviors will ultimately adversely affect the entire community. Obesity has the potential to raise everyone’s health insurance rates, whether everyone is obese or not. Is that potential harm enough to justify the legal prohibition of large sugary drinks? Probably not. At one time cigarette smokers claimed that smoking harmed no one but themselves, but empirical evidence supporting the dangers of second-hand smoke eliminated that argument. Consequently, smoking was no longer protected by the logic of the harm principle. The consumption of large sugary drinks is not in the same category as the smoking of tobacco. Unless there are immediate second-hand adverse effects associated with the consumption of large sugary drinks (What would they be? ), it is unlikely that the courts will support Mayor Bloomberg’s appeal of the recent judicial decision against the ban. This is a difficult issue. Mayor Bloomberg’s attempt to improve the health of his constituents is admirable. Large numbers of people increasingly make poor dietary choices that will ultimately adversely affect their communities. Nonetheless, a program of health education directed toward consumers coupled with appeals for cooperation from vendors may be the more effective course to take. * “Parentalism” might be a better term. 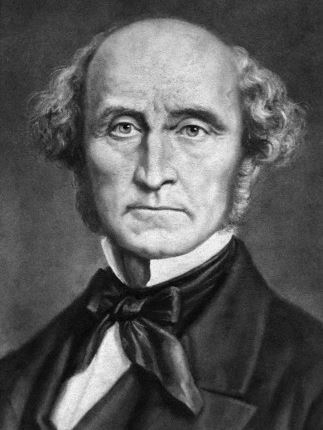 **John Stuart Mill, “On Liberty,” in Cohen, Marshall. The Philosophy of John Stuart Mill: Ethical, Political and Religious (New York: The Modern Library, 1961), p. 197. ← How Much Does a Cup of Coffee Really Cost? Thanks Mike. Is that a grasshopper you are eating in your photo? Surely, the eating of grasshoppers could be regulated. I enjoyed reading your reflections on J.S. MIll, albeit applied to the abolition of the Big Gulp. Good stuff. Thanks for the comment David. I’ve always felt that political philosophy has lots of applications to daily life. Thanks for your comment. Although this looks like a frivolous issue, it gets at some of the basic questions about the relationship of the individual to the state. Here in the U.S. obesity has just been defined as a disease.